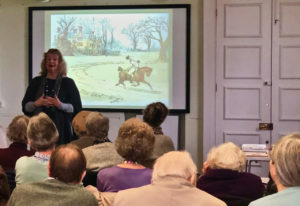 Susan gave us all a wonderful talk on Saturday 16 February. Her presentation skills and creative slides were superb and so displayed the fabulous passion Susan has for the subject. Taking us all back to how all these wonderful books started with these imaginative and inspirational authors was so interesting, evoking so many memories of our childhood learning and reciting the nursery rhymes. 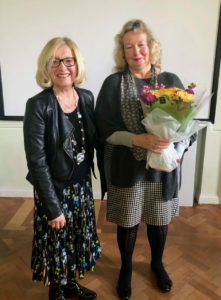 It would be lovely if we could invite Susan back to take us through ‘part two’ expressed by many in the audience perhaps next Autumn or Spring 2020.